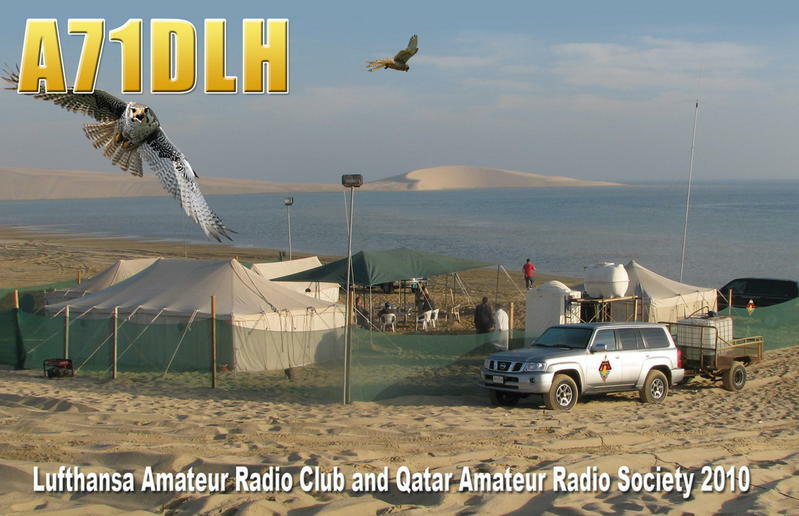 Members of Lufthansa Amateur Radio Club DL1BDF, DK2DO, DL2NTC, DB4XN, DF4HR, DG3HT will be active from Qatar 22 - 29 October 2011 as A71DLH. They will be active on all bands CW, SSB, Digital Modes. Hello all DLH members! I am looking for you and enjoy. Will you take part in CQ WW SSB? If possible I hope to vist A7 withn this year.